Laptop screen replacement Adelaide: All makes, sizes, and models. APCR is Adelaide’s premier laptop screen replacement service. With access to a complete local range of LED and LCD laptop panels, fast turnaround, and great prices we are the first choice for laptop screen replacement Adelaide. All laptop screen replacements are covered by a full 12 month warranty, so when you get a laptop screen replacement from APCR, you know you’re covered. 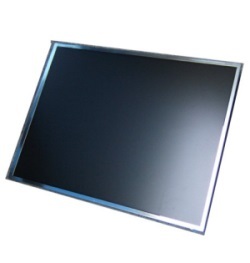 We have extensive local stock for laptop screen replacement for all makes and models. In most instances we can replace your laptop screen within 48 hours. APCR’s laptop screen repairs prices are among the most competitive in Adelaide. We want you to have the best possible screens at the best possible price! we provide. If you were offered a better price on a laptop screen repair, simply send us an email or a scan of the quote and we will try to beat the price! APCR can come to you – home or business, and repair your laptop’s broken screen on site. In most instances we can be there within 24 hours to fix your broken laptop screen! (ie, from top left to bottom right). Yes. A report can be forwarded to your insurance provider. There is no additional fee for this if your laptop is covered by your insurer. ……– Very happy with the service & repair. Wont hesitate to recommend APCR to everyone. ……– A virus went through my computer and “ate” all my photos and files (Which I had not backed up). Jim found all of them and my files and returned everything back to normal…..No more tears for me!! Over 8,000 photos of memories thanks to Jim back where they should be…..(And also now on a external hard drive – a lesson learnt!!) :) Very, very happy with this service, especially seeing I didn’t have to leave my home, they did it all for me….. Highly recommended :) Thanks! ……– I must say that we are very happy with your companys service. We liked and appreciated the response time to our problem, the follow up and the understanding of a computer illiterate oldie. Not exactly sure where improvement lies, just keep up the way you are going. Excellent communication. My laptop was collected within half an hour of calling APCR. I didn’t have to do a thing. Professional and friendly service. ……– Just wanted to say we experienced the best service from APCR ever. The customer service (of which is totally lacking in society today) was the best service I have experienced in decades. My laptop was dropped and the screen cracked and needed replacing. I rang APCR and received a quote within hours which I then forwarded to my insurance company. When I received the cheque from the insurance company I rang APCR who arranged to have my laptop picked up, repaired and back to me with a week. I didn’t need to drop off, pick up, call or anything. Thank you so much and well done guys! I would highly recommend you to anyone. Laptop screen repair is one of the most common repairs we complete on laptops. Their portability and transportability means that they are often subject to stresses that a nmormal desktop screen would not be subject to. Sudden impact, being dropped, trodden on, impact from flying objects, even a “falling cookoo clock” is among some of the more unusual incidents that have resulted in a screen repair with our service. In a hurry? Simply submit your details and we will send a courier to your home or business to collect your device for repair. Fast and convenient. Click the button to BOOK NOW!